When car trips were not as fast and comfortable as they are today and drivers had to face long journeys filled with curves and slow trucks, on many roads there were towns where serving travellers was a good supplement to their usual economic activity. Drivers knew exactly where to refuel, where to stop for a break, and also where to buy products you couldn’t find anywhere else. 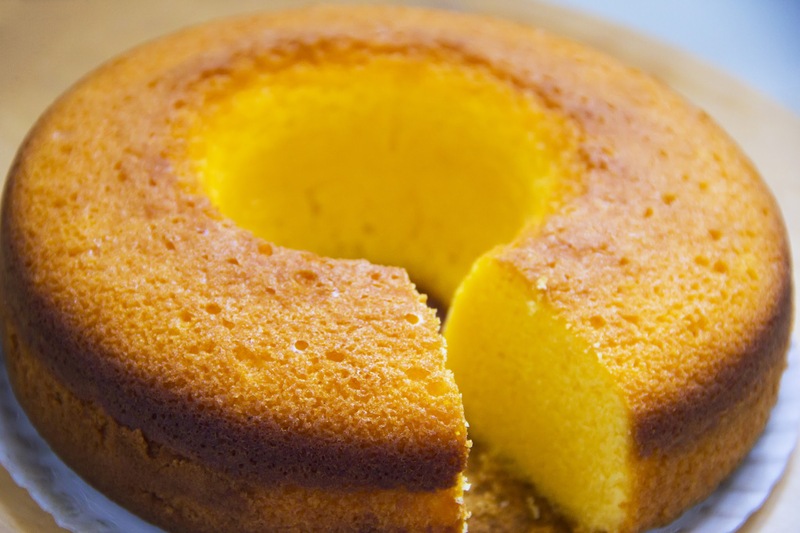 Because of its history and attractions, Guitiriz is much more than that, but one of its gastronomic products is a must-have among the purchases of those who cross the old N-VI (or the current A-6) between Lugo and A Coruña: the corn cake. It is a thick, heavy, spongy and very sweet cake, and can be purchased at bakeries in the centre of town (although lately it is also easy to find in supermarkets throughout Galicia). As with so many other unique gastronomic products, the exact recipe is a mystery known only to bakers, so it is advisable to taste it in situ. In any case, the use of cow’s butter is the key to the final result. Gutiriz corn cake is a perfectly valid excuse to visit a village that has been at the area’s forefront for centuries. The municipality’s very name proves its antiquity: place-names ending in -iz usually are of Germanic origin, and come from a time (fifth and sixth centuries) when the Suebi ruled over Galicia. In fact, its name probably refers to Suebi monarch Witerico, to whom the founding of the town is attributed. Although the truth is that, going back to the importance of communication routes in the town’s history, it is known that the Roman road used to travel between Lucus Augusti and Brigantia passed through the area. Subsidiary land to the monasteries of Monfero and Sobrado dos Monxe, Guitiriz was already designated a municipality at the beginning of the twentieth century. The place has several buildings that are worth visiting, such as the monumental Santa María de Lagostelle, built barely half a century ago but with an old temple at its base, in the town centre; or the pazos, or manors, of Pontella and Casanova. Throughout the twentieth century, Guitiriz was a hot spot for people in the surrounding areas due to the popularity of its spa, which makes use of the spring called Fonte dos Santos or San Xoán de Lagostelle. The fame of its waters as a remedy for stomach and digestive ailments afforded it a time of splendour from the year 1908, when the spectacular hotel opened its doors, to the seventies, when it was finally closed. At the beginning of the twenty-first century, the spa was renovated and a golf course was built around it, in the southern part of the village. Interesting fact: the building was used during the Civil War as a hospital for soldiers, and a small mosque was built inside the spa for Muslims. The temple, barely 50 square meters, is still there, hidden among the thick trees of the area. Every August, the Pardiñas parish in Guitiriz hosts thousands of visitors who come to witness one of the longest-running folk music events of those organized in Galicia. The Feira e Festa da Música e da Arte, known as the Pardiñas Festival, has been held for almost forty years: it started in 1980 and brings together the great names of traditional Galician music as well as groups from other countries and latitudes.